There are numerous hiking opportunities in Caldwell County offering enough challenge for any active outdoorsman and gentler pathways for walkers who prefer strolling. 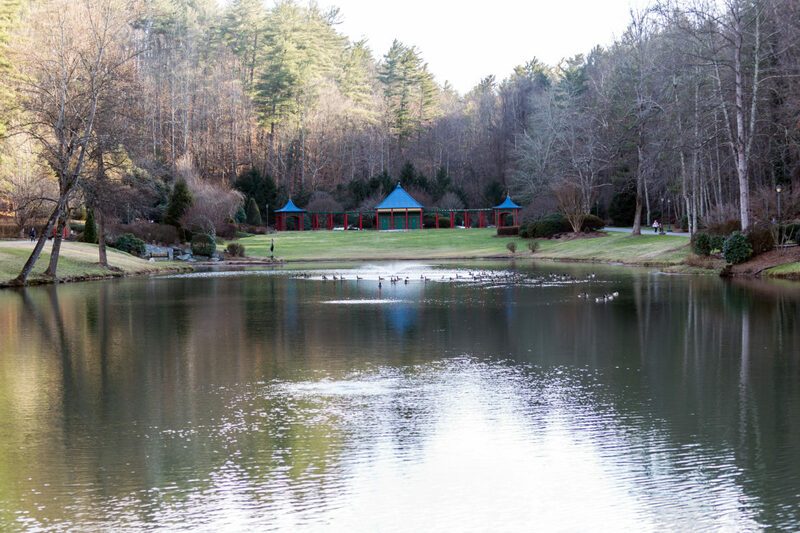 From viewing waterfalls at Wilson Creek with the rugged terrain of the Blue Ridge Mountains to a less strenuous walk in over 20 walking areas throughout Caldwell County, there’s something for everyone. Being one of the more popular hikes in the area, you get double waterfalls at Harper Creek starting at 40 feet. This walk is an easy to moderate hike and takes about an hour. The trailhead is about 1.9 miles north of the Wilson Creek Visitor Center on Brown Mountain Beach Road. Follow the creek until you get to the waterfall. The trail is blazed in orange. There is a parking area at the trailhead. This waterfall is easy to get to and is excellent for beginners. The trailhead starts at Mortimer Campground and follows Thorpes Creek. This 15-foot, cascading waterfall is about .18 mile on the trail. From Brown Mountain Beach Road, turn left on N.C. 90. Mortimer Campground is on the right. Follow the road through the campground and park at the end. This trail is one of the more scenic trails in the region. There are three falls along this route with several easy to difficult creek crossings. The trail reaches the Upper and Lower Gragg Prong Waterfalls and Hunt-Fish Falls. This trail is part of the Mountains-to-Sea Trail and is marked with a white blaze. From Brown Mountain Beach Road, turn left on N.C. 90. Follow N.C. 90 for 2.1 miles to Roseboro Road (SR981). Turn left on Roseboro Road and go 4.1 miles to a bridge. A small parking area is just beyond the bridge. Below is a list of 22 walking areas in Caldwell County. For more information, visit Caldwell County Pathways. Each map number corresponds to a walking map. » Download the Caldwell County Walking Parks Map.